So what can you expect in this issue? Well let me introduce you to the “Days Out” Collection. This is all about the Great British Summer. Campervans, Caravans, Carousels, Helter Skelters, Ferris Wheels, Garden Sheds (or Beach Huts) and Buckets and Spades. Lots of fun and, for me and hopefully for you too, lots of lovely memories. 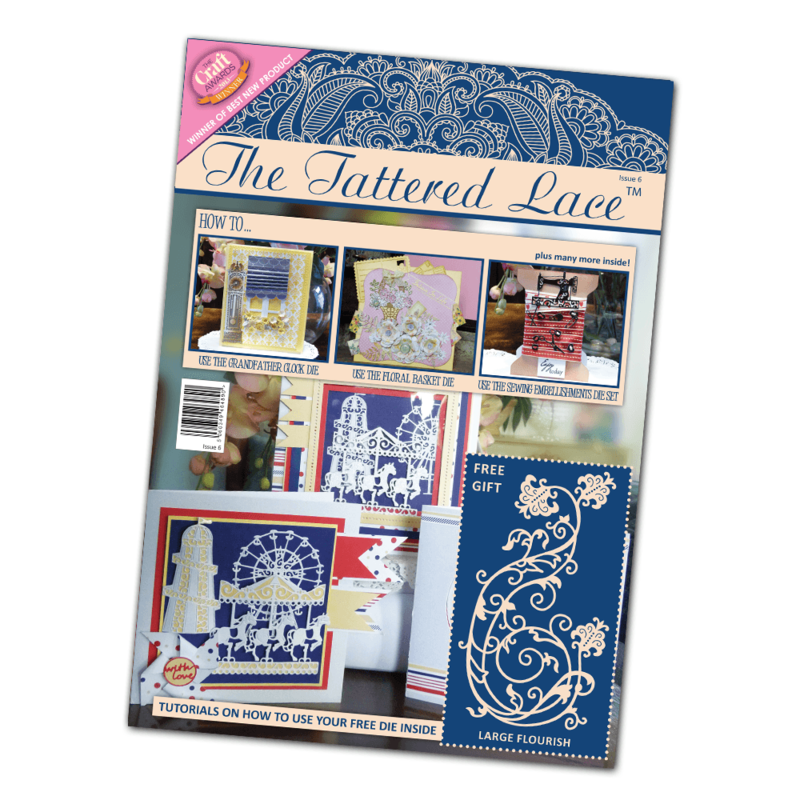 We have two pages of templates in this issue, the fabulous Treasure Box, a bobbin shaped card and a spiral rose. All of them come with instructions and step by step photos. The complimentary papers this issue have, once again, been designed specifically for the projects. This month’s free die is the Large Flourish free die. It is one of those dies that will be a “go to”. Perhaps as a gorgeous background, or used as foliage, or used as it was designed to be, a beautiful flourish!